You are here: HomenextBrowse ArticlesnextThe Armed ForcesnextFirst World WarnextWhere's Tommy? One of our Tommys is Missing. Back on Sunday 11th November 2018 Benfleet had two Tommys: one in St Marys Churchyard, and the other near the War Memorial. The one near the War Memorial appears to have gone missing. A check on Sunday 19th February 2019 showed that only the concrete base remains. It looks like it has been unscrewed from its base and taken away, although one of the holes looks like the fixing has been broken off. I checked across the road by looking through the gate to the Electricity sub-station in case they had taken it down when doing some work nearby, but if it was there, it was not obviously in sight. 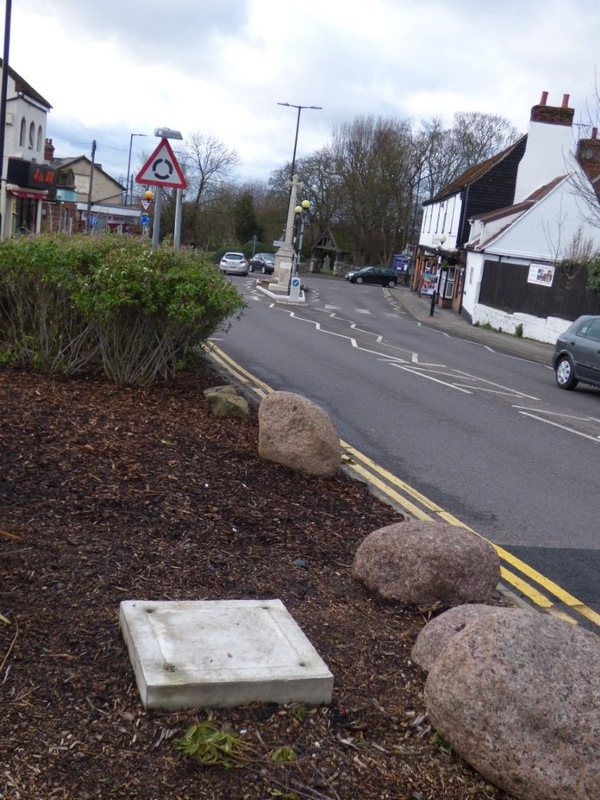 I also checked St Marys Churchyard in case they had both been put together but it was not there. Can anybody help with information about where it is? 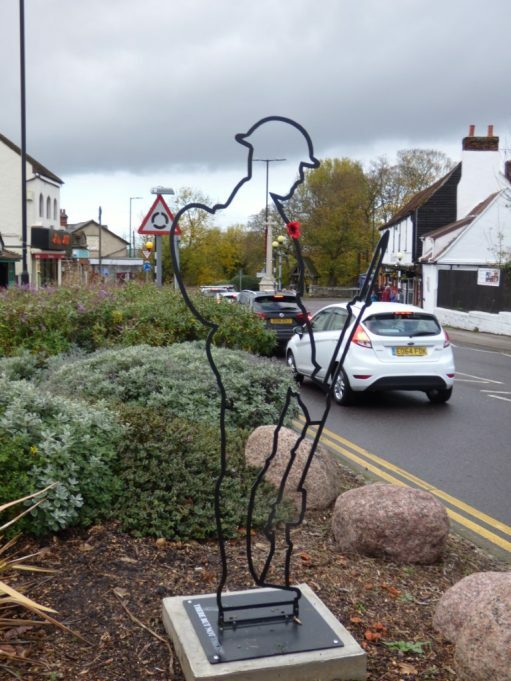 Thank you for your email and your concern regarding the Tommy which was placed near the memorial in South Benfleet during the armistice period this year. 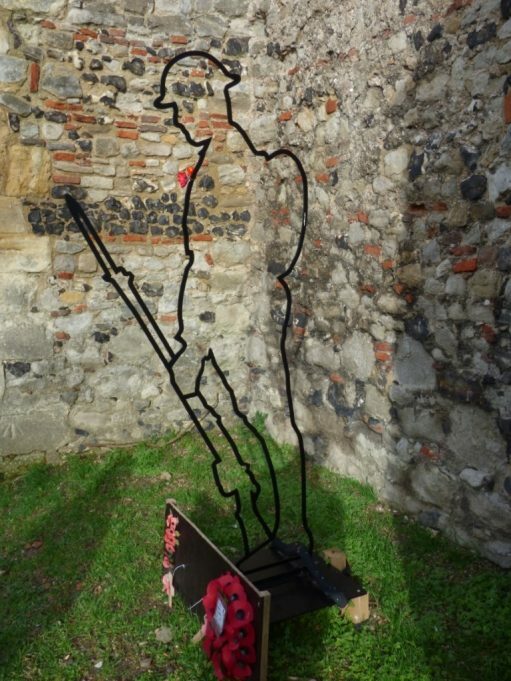 I can assure you that the Tommy was removed by the council for safekeeping and will be returned to the site during the next armistice period. So Tommy is safely housed at the Council Offices. Panic over. But a notice saying this would have been helpful! The story was reported in the Evening Echo edition of Monday 12 Feb 2019. 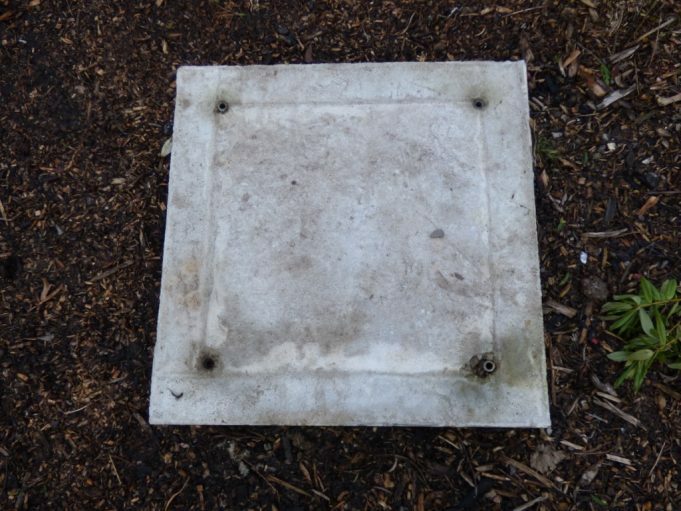 The concrete base where the Tommy near the War Memorial used to stand on. 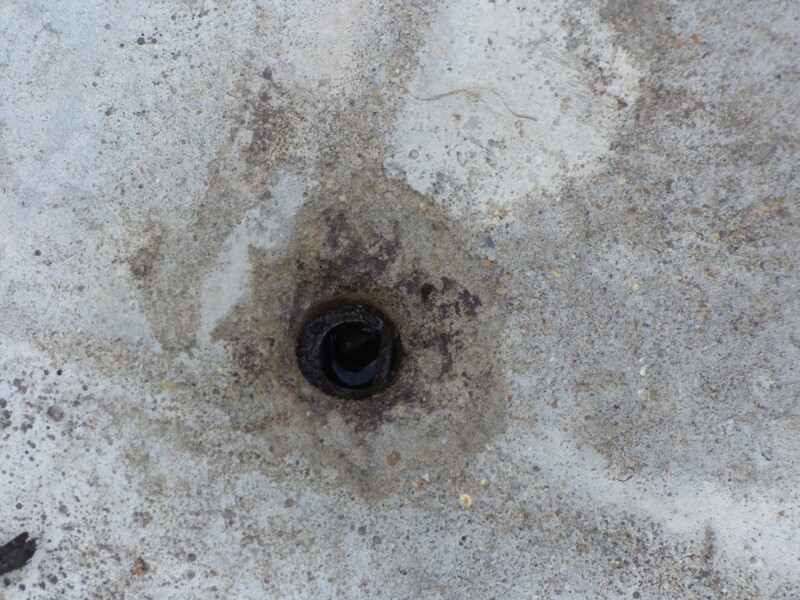 This shows the broken fixing point on the concrete base the Tommy used to stand on. Where the Benfleet War Memorial Tommy's concrete base is. Benfleet War Memorial. 1914 Casualties. Benfleet War Memorial. 1915 Casualties. Benfleet War Memorial. 1916 Casualties. Benfleet War Memorial. 1917 Casualties. Benfleet War Memorial. 1918 Casualties. Killed in Action 1915. Not Commemorated Locally. Killed in Action 1916. Not Commemorated Locally. Killed in Action 1917. Not Commemorated Locally. Killed in Action 1918. Not Commemorated Locally. Killed in Action. 1919. Not Commemorated Locally.